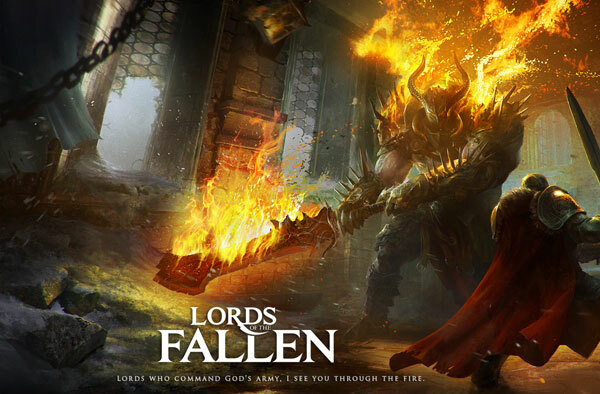 In Lords of the Fallen, you are Harkyn, the best of the worst of humanity. A convicted criminal, Harkyn is given a chance for redemption. But just as the rulers of the world get close to finding a way to banish all evil from humans, an army of the long-ago defeated god attacks the human realm. Released from prison, Harkyn and his mentor, Kaslo, set out on a mission to stop the war. In his journey, Harkyn will forge strong alliances and face even stronger enemies. He will learn the true power of the Rhogar Lords - commanders of god's army. He will even bring the battle to the Rhogar, travelling to the heart of the demonic dimension. Will the god manage to enslave humans again? Is mankind really able to banish evil? Will Harkyn's sins ever be forgiven? Medieval fantasy world: Filled with chaos and lethal danger, where player never feels safe; The full history of both world and the player character unveils and dramatically changes throughout the gameplay. Fighting against the formidable Lords and Generals: Even regular opponents make up a challenging duels; Over 15 boss encounters including giant beasts; Opponents include both supernatural beings and humans. The combat system with many complex skills: Large variety of tactical medieval based weapon fighting techniques; Powerful and spectacular supernatural skills. Large variety of items and gear: Classes of gear: Warrior, Rogue, Cleric; Tons of hidden objects and locations; Freedom of mixing different classes for both gear and skills.